"Who is The Clapper?" Momentum Pictures has debuted an official trailer for an indie comedy titled The Clapper, the latest from director Dito Montiel (A Guide to Recognizing Your Saints, Fighting, The Son of No One, Man Down). 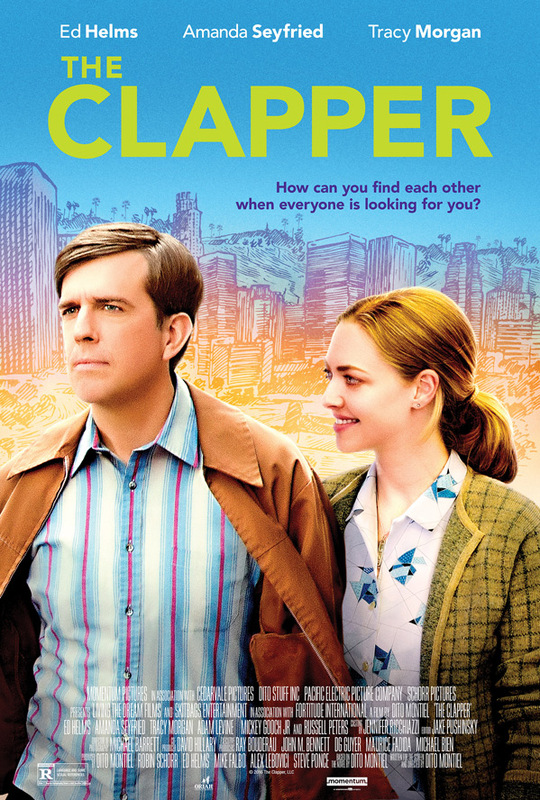 The Clapper is about a man, played by Ed Helms, who enjoys his job to be paid to fill seats in infomercial audiences. But when a talk late night TV talk show host discovers and makes fun of him, his whole life gets turned upside-down. Very weird concept for a film, but this trailer actually makes it look kind of amusing, with a sweet side. The cast includes Amanda Seyfried, Tracy Morgan, P.J. Byrne, Charles Halford, and Leah Remini. This probably isn't what you're expecting, but doesn't look too bad. Eddie is a guy who gets paid to fill seats in infomercial audiences. When he is discovered by a late night TV talk show host who makes a punch line of his unusual job, Eddie is suddenly thrust into the limelight in a way that messes up his life and threatens his budding romance with Judy. The Clapper is both written and directed by American filmmaker Dito Montiel, of the films A Guide to Recognizing Your Saints, Fighting, The Son of No One, Empire State, Boulevard, and Man Down previously. This first premiered at the Tribeca Film Festival earlier this year, but didn't play at any other festivals. Momentum will release Montiel's The Clapper in select theaters + on VOD starting January 26th, 2018 early next year. Anyone want to see it?